Below are instructions on how to login to the patient portal. For instructions on using the image optimisation tools within the portal, click here. For details and instructions on advanced viewer features, click here. Every patient who has had imaging at Brighton Radiology (Inc. Bayside Standing MRI) will be issued with a unique Patient ID. This ID will be provided to you on an information sheet handed to you after your appointment or will be written on your study report. 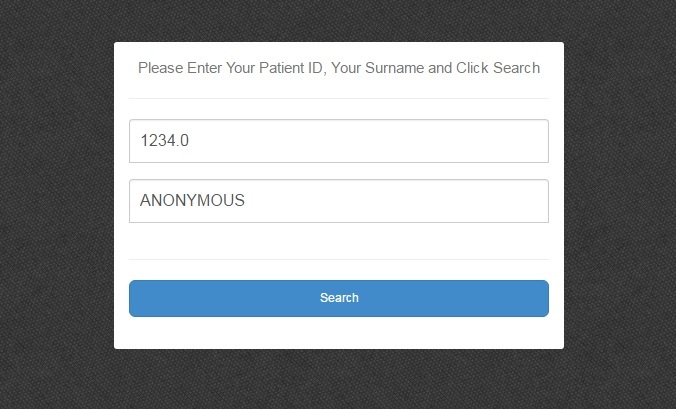 Enter your Patient ID into the portal login page EXACTLY HOW IT IS WRITTEN ON YOUR SHEET/REPORT. If you have had multiple scans performed at Brighton Radiology (Inc. Bayside Standing MRI) multiple studies will likely appear. Select the study you wish to view and press “select”. Click on the patient name to open the images for the study. 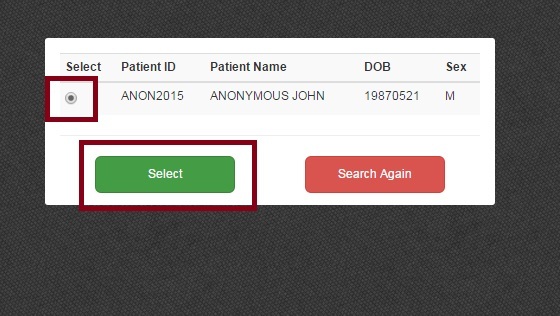 After clicking on the patient name, the images will load on screen as shown below. 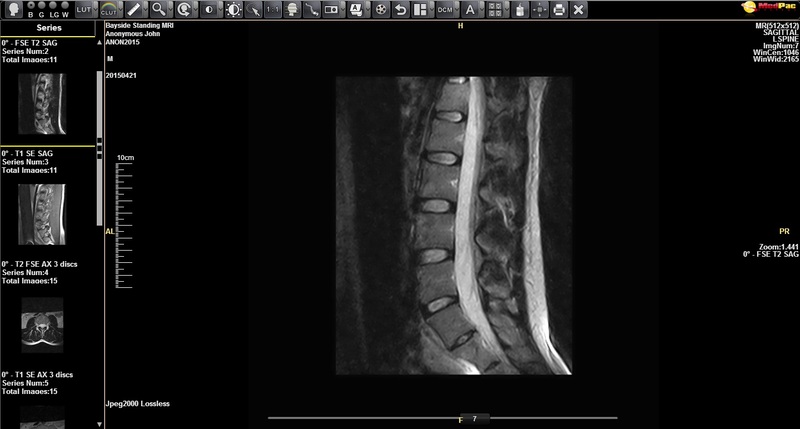 The Patient portal features a number of radiology image optimisation tools. For instructions on the use of the viewers image optimisation functions, click here.